Season Finale Preview: Sayonara, Sonoma! IRR’s preview of the 2018 finale illustrates how the sake’s about to hit the fan with a Japanese race winner, a Kiwi in the points lead and a long overdue kiss off for one particular track. Following fourteen interminable years of visiting northern California – primarily because the Foyts and Andrettis own wineries there and most certainly not for the racing – the IndyCar party at Sonoma’s over at long last. Now the hellacious hangover begins, as the geniuses responsible for IndyCar’s schedule failed to replace it with a decent track, like the big, beautiful oval at Fontana, home of exquisite racing in years past. 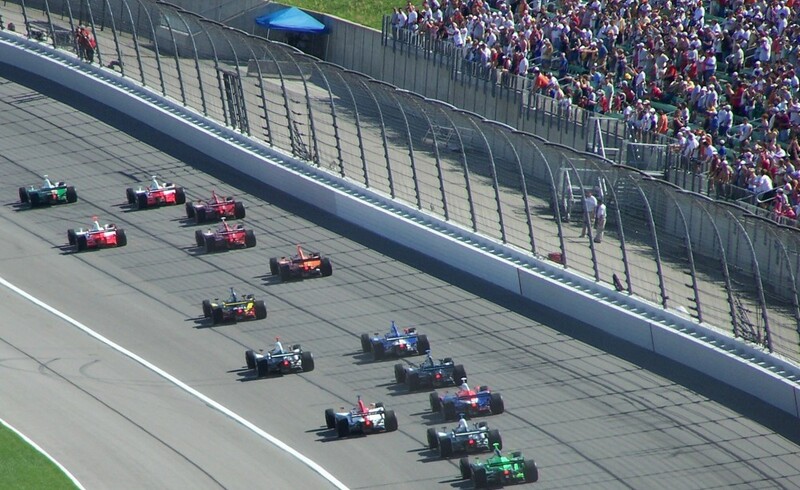 As IndyCar’s Magical Mystery Tour heads northwest for the first time in over a decade, IRR’s got your Ticket to Ride. 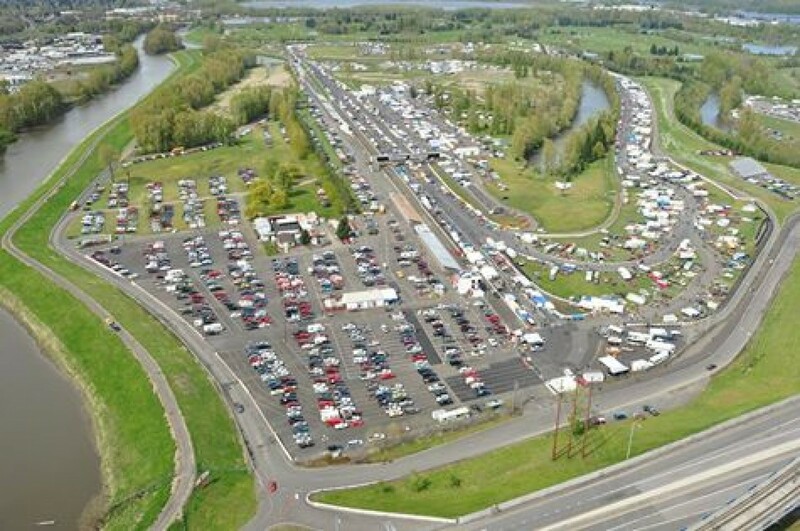 The legendary George Harrison couldn’t have been writing about Portland International Raceway in his 1968 song “Long, Long, Long,” as the facility didn’t yet exist. Besides, he and the boys were halfway ’round the globe in India with the Maharishi at the time. Nevertheless, it truly has been a Long, Long, Long time since big league racing turned a Revolution in the locale of . . . Oregon. Eleven long years, to be exact. One could say we’re Back in the P-I-R, though the northwest never fails to make us think of Rain. Considering another comically amateurish start followed by a devastating, injurious crash on lap seven, the fact that the remaining able-bodied drivers somehow managed to put on a decent show at all is remarkable. Particularly in light of Robert Wickens’ unknown medical circumstances, which remained a complete mystery for a full hour before his consciousness was announced. The full extent of his wounds still isn’t known. 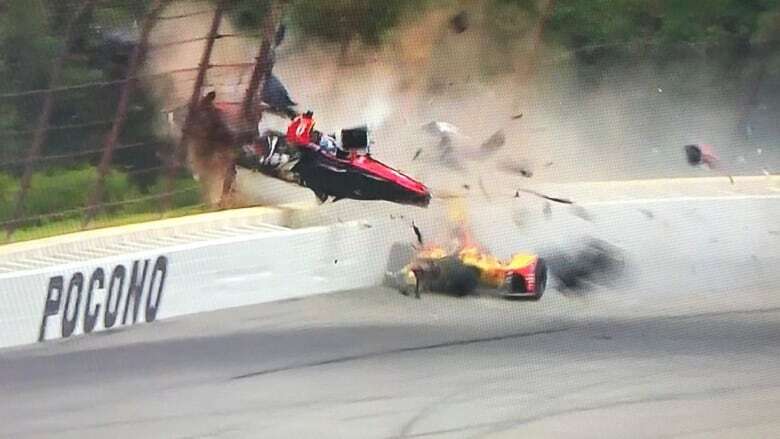 After a two hour delay for cleanup of the massive debris field plus repairs to the fence, Alexander Rossi drove his NAPA car right up to the wall and to its limits, proving himself yet again the swiftest over 500 miles. NBCSN’s pre-race included shots of Marco’s Palace and lots of Robin Miller. In other words, it was gaudy and odd. Another laboriously slow, bunched up start to the race from pole sitter Will Power saw Ragin’ Graham Rahal immediately run into Spencer Pigot’s right rear at the back of the field and bring out a caution. Along with the winner we predicted a crash-fest, and it sure started out that way. Power typically blamed Scott Dixon – who was deep in the field! – flashing graphs and pleading that he only did what he was told. Rahal was penalized for the first lap incident and it’s clear he needs to work on his starts, his qualifying – or both. With chatter about a back marker F1 team branching out into IndyCar reaching a fever pitch, it’s high time to set the record straight – by which we mean furthering our incisive take on the matter. Namely, F1’s increasing and undue influence over IndyCar – this ongoing invasion from across the pond – is pernicious and must be stopped. Sunday’s Iowa Corn 300 could be the race to end all races – it’s often that entertaining. Hopefully it isn’t the end of IndyCar races at Iowa Speedway, but that’s only if “Bismarck” Miles doesn’t declare war on any more oval tracks. Where’s an ace leader like Eddie Rickenbacker when your series needs him? One fact about Iowa that’s likely to blow you away is three different winners in as many years, with the (usually) retired Helio, Newgarden and Hunter-Reay the victors. Make it four of the last five if you throw in Hinchcliffe’s devastating win in 2013. Taken together, they’re who we call The Big Four of Iowa. Ryan Hunter-Reay has won an impressive three battles on Iowa’s plains, including back to back in 2014-15. Incredibly, his record’s less gaudy than that of his team’s smashing performance overall. 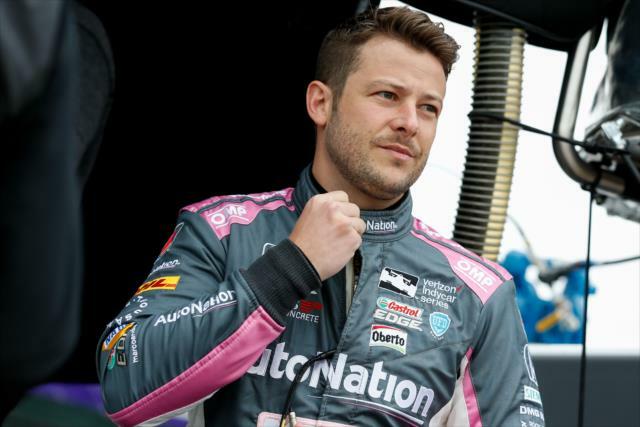 Andretti Autosport’s enjoyed an unrestricted seven wins – out of only eleven races in the track’s history – sinking the competition as effectively as a u-boat wolf pack. Hinch’s win was with AA, too and even Marco managed top of the podium for his dad’s outfit, somehow. It was his last win, now seven years ago. Seems like a century, doesn’t it? Team Penske – the clear class of the field starting 1-2-3 – suffered from tire issues all evening, opening the door for Scott Dixon. The five second victory was his third at Texas Motor Speedway, the forty third of his career and put him in rarefied air in third place on the all time wins list. It couldn’t happen to a better guy, honestly. Never to be out-trended, even IndyCar now has a cooking segment, for heaven’s sake. Don’t worry, we at IRR will never cook to camera. For some reason, it’s now Kelly Stavast doing pit coverage, and just when we getting used to the adorable Katie Hargitt. A Will Power feature had Robin Miller saying “ten years ago, Will Power hated oval racing.” He still does, Robin – you’ve been fooled. Daffy Leigh Diffey’s Aussie bias shone vividly through as a drone delivered the green flag and the engines were fired. A clean start saw Newgarden leading with Ryan Hunter-Reay slicing high attempting to pass in a major theme of the evening. Cars were three wide early, as Alexander Rossi got around both TK and Dixon. Wickens moved around Power on the outside and into second by the lap 6. 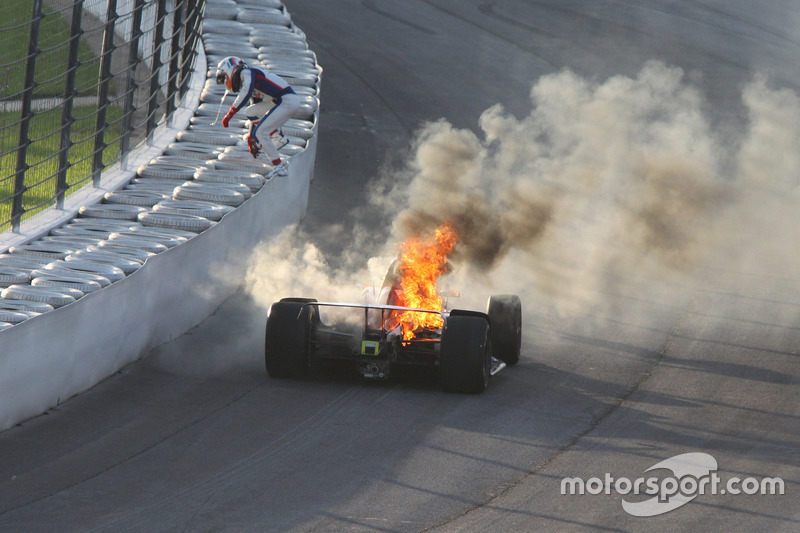 The first caution flew as AJ Foyt Racing’s Matheus Leist’s car became engulfed by fire in a scary moment. Leist threw steering wheel away and quickly jumped out as the flames encroached upon the cockpit. Previewing the 2018 IndyCar season from the perspective of those nine drivers with a combined experience of the average couch sitting race fan. Tellingly, the mean age of our final five rookies is a ripe 24.8 years old. This slate of newbies enjoys slightly more experience than those covered in part 1 and also have the distinct advantage of landing with established teams – in a couple cases, even decent ones. Just not in our first instance . . .
AJ Foyt Racing‘s Matheus Leist – only 19 – hails from Brazil like his curmudgeonly, over the hill teammate. His initial IndyCar foray at the Phoenix test wasn’t fortuitous. Leist brushed the wall at least three separate times, and possibly more. On a less expensive note, Matt did manage three wins last year in Indy Lights, including the Freedom 100 at IMS. That’s no doubt a major reason he’s driving for A.J. Matt also scored an impressive nine top fives and two poles in his sole Lights season. Why the 43 year old TK landed A.J.’s other seat is totally inexplicable. Zach Veach will have the benefit of top notch equipment driving for Andretti Autosport, if not the most sensible boss. The baby faced 23 year old Ohioan already had two big league starts in 2017, with a best finish of 19th at Barber for ECR (as a stand in for the injured and now unemployed J.R. Hildebrand). Also, he finished 26th in the 101st Indy 500 for AJ Foyt Racing. Zach’s the author of a book for teens and apparently a good friend of Oprah, so watch out.